King County Metro is proposing to move the Route 3 and Route 4 off of James Street and onto Yesler Way through the growing Yesler Terrace. Metro cites significant congestion and delays along James Street, largely attributable to vehicles accessing I-5 as the primary motivation for the change. Metro has been itching to make this switch for years, with the complete rebuild of Yesler Way nearing completion providing a clear impetus. Currently, the 3 and 4 connect Seattle Pacific University, Queen Anne, Downtown Seattle, First Hill, Madrona and Judkins Park. These are the only routes that serve James Street, an important east/west spine in South Downtown’s civic center area. If approved, this reroute would completely eliminate all east-west bus service between 3rd and 9th Avenue along James Street, denying access to fundamental government services including the King County Superior Courthouse, King County Administration Building, King County Jail, Seattle Municipal Courthouse, and Seattle City Hall. James Street between 4th and 5th Avenues is downtown Seattle’s second steepest hill, with a grade change of 18.3%. Overall, the elevation change between 3rd and 9th Avenues on James Street is 230 feet, creating a difficult hillclimb for all but the most able-bodied and not comprehensively served by alternative accessible routes. This would also create an east-west service gap in central downtown of almost half a mile, once Metro eliminates the route 12 when the planned Madison BRT eastbound alignment on Spring Street opens in late 2019. Metro claims that the realignment will gain these routes approximately four minutes of efficiency per trip, and would increase the overall reliability on all trips. 11,000 riders use the 3 or 4 on a daily basis, and Metro’s 2016 Service Guidelines Report shows the 3 serves 59 rides per platform hour, high into the top 25% of all urban routes. The 4 is just short of that, at 46.5 riders per platform hour. Despite the assertions that these routes are congested and face massive delays, the reliability numbers show them performing well above other routes, with only 18% of Route 3 busses running behind schedule, and 14% for the 4. This doesn’t even put them in the bottom 50% for unreliability. These are workhorse routes that provide critical crosstown trips to commuters, students, patients, and tourists. The 3 and 4 travel through several neighborhoods identified by Metro as having a high percentage of both low-income and minority residents and riders. Given the correlation between low incomes and transit dependence, it’s reasonable to assume that for many riders up the lines, these routes provide their only means of accessing the high density of government functions along James Street without transfers or long walks. It’s reasonable to expect Metro to emphasize reliability and efficiency in their routes. Despite the agency’s claim to “Get You There,” it’s not uncommon for traveling at the speed of Metro to pose challenges to riders expecting punctuality, which can decrease overall ridership. However, starving transit service to a street impassable to all but the most able-bodied with the largest concentration of government services to save a few minutes off routes that don’t even clock as the most delayed seems an egregious overemphasis of efficiency over utility and a completely backwards approach to service equity for low-income and minority riders. Constructing trolley lines up Yesler and through Harborview’s campus would cost the agency millions of dollars, money which could be spent to make improvements along the corridor or to provide additional non-trolley service to Yesler Terrace. Metro is seeking public feedback on the proposal until July 23rd. The question at hand is if four minutes of efficiency and the costs associated with those delays is a fair or equitable trade for a service that eliminates access to City Hall, the courts, and King County services at a time when accessing the government seems more pressing than ever. It gets to the heart of why we have transit service at all, which is to ensure that all people regardless of ability or income are assured access to their government and economy and benefit from the infrastructure society-at-large invests in. This realignment proposal seems to achieve none of those objectives and creates more barriers than it solves. Routes 3 and 4 should stay where they are. Alex is an advocate for people-centered planning and urban design who works at the neighborhood scale to build a city based on equity, vibrancy, innovation, and cultivation of place attachment. 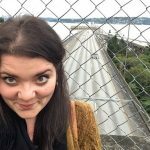 A former boardmember at The Urbanist, Alex is Executive Director of Transportation Choices Coalition, and sits on the board of the Freeway Park Association and the Community Involvement Commission—her opinions on The Urbanist are her own. She lives in First Hill with her cat, houseplants, and overflowing library of books about urban planning, design, and placemaking. “…eliminates access to City Hall…” A bit of hyperbole here. It doesn’t “eliminate” access, just makes it a bit harder. And it has no impact on the Superior Court. I don’t have a dog in this fight, but let’s not use hyperbole to make a point. I’ve left a public comment indicating strong support for this change, and encourage others who support effective public transit to do the same. This is a clear win for mobility for transit users. Sacrificing thousands of hours of other people’s time and scarce service hours to retain legacy front door stops is a poor tradeoff. I have two quibbles with this piece. First, the article claims that Metro could reallocate the millions of dollars ($12 million from the best source I found)* for trolley wire construction to other service. But savings of 4 minutes per trip saves metro a lot of money per year, by my estimate, $500,000 to $600,000 per year. ** Without knowing the details of metro’s accounting, I suspect that that investment pays for itself in about 30 years, meaning it’s about revenue neutral from an accounting perspective. At the very least a lot of the money that ostensibly could be spent on other service under the status quo will instead go toward paying drivers to sit in traffic on James street. Second, while making the case for access, the article doesn’t articulate why access must be provided at the very high for Seattle rate of 8 buses per hour by routes 3 and 4. For instance, if route 27 continued to serve James street with 2 buses per hour would that change the calculus by providing some access to those services? By framing the choice as a binary it’s very difficult to discuss tradeoffs between speed and reliability verse direct access to key public services. **Saves one bus per hour over 15 weekday daytime hours (6am – 9pm) at a price of $140 per service hour which equals 1 * 15 * 140 * 365 * (5 / 7) = $547500. I suspect this slightly underestimates the annual savings but is in the right ballpark. It’s not clear how that could be considered a long-term operational savings since it goes so far in the future. Certainly the network will be different by 2047. We could play that sort of game with savings assumptions many ways. The better option would be for Metro to petition SDOT to covert one lane in each direction to BAT. Not only orders of magnitudes cheaper, it would also provide for better emergency services through the corridor. Also, Alex explained in detail that the corridor provides important social access to medical and governmental services. Mr. Katz below also highlights others. To think that half-hourly service would be sufficient James west of I-5 is absurd. “To think that half-hourly service would be sufficient James west of I-5 is absurd.” Maybe, but that doesn’t address why it’s absurd, which was the actual quibble. Like what frequency is reasonable? Is the 15 minutes of route 2 good enough for the social services it provides front door service to? Or what if the D (with only 12 minute frequency) was extended two blocks to serve the uphill stop west of I-5 before going to it’s layover? For the people who can’t readily walk the additional up to three blocks, there’s clearly a huge benefit for having some service because it makes inaccessible areas accessible (an infinite % improvement). But I don’t think we should treat a minute saved for those patrons as more valuable than a minute saved for those trying to go to/from Yesler Terrace, Harborview, the CD etc. If that particular set of patrons are (as I suspect) few in number, I don’t think it’s absurd to consider (not choose but consider) half an hour coverage service. It’s worth reiterating that a lot of people benefit from the speed and reliability improvements (not to mention improved access to Yesler Terrace) that would come from this change. It’s not clear why all those people should lose out on those benefits so that people who can’t readily walk the at worst three steep blocks can have 7.5 minute frequency to those destinations, which is the author’s implicit claim. The fact that you have to ask this question and then dance around it shows a serious lack of concern over justice and equity. The move is not sensible on that basis alone, but your response glosses over those issues. As the author notes: “The 3 and 4 travel through several neighborhoods identified by Metro as having a high percentage of both low-income and minority residents and riders.” Most of those riders surely don’t use the two pairs of stops that would lose service here. Personally, I care about all those other riders as much as I care about those who use the stops on 6th and 8th (not to mention riders who use the stops at Yesler and 8th which would get much better service under this proposal). I therefore think Metro should move at least some service from James to Yesler to improve service for all those riders. I also believe that to the extent that Metro maintains service to 6th and James (and possibly 8th and James) I’d strongly prefer service at the end of a route (such as the aforementioned D line), where reliability and speed loses, especially uphill, will impact only a handful of riders, rather than in the middle of the route when the bus is full. And finally, I don’t see (but would love to learn) how those beliefs nor my asking of clarifying questions on why these particular two stops need that much service from a specific route all other considerations be damned demonstrates a: “serious lack of concern over justice and equity.” That conclusion seems like a highly cynical reading of my words. I’ll add that looking more closely at the destinations that Katz mentioned, I seemingly understated the importance of service to 8th and James relative to 6th and James in my previous comment. I think the rest the points still stand though. I’d echo the other comment that projecting savings 30 years out is an iffy game. What about all the disruptions that folks are expecting from driverless cars? What if autonomous buses allow Metro to reduce operating costs? What if Yesler becomes just as congested as James St? What if we remove or bury I-5 in Downtown Seattle (hey we can dream)? Or what if we at least close the James St on- and off-ramps to reduce congestion and it returns to being the quickest route? We don’t yet know the answers to these questions so it’d be foolish to do 30 years worth of accounting with any certainty. “it’d be foolish to do 30 years worth of accounting with any certainty.” Well of course, that’s why I used the term “suspect.” And I’m also bullish on those “we can dream” reasons to believe that the 4 minute time savings number overstates the average savings in the long term. But I think the main point still stands in so far as much of the ~12 million dollar capital cost savings will get eaten by operational costs due to delays on James. Note also that my calculations assumed Metro could save one bus per hour for 15 hours, which is highly back of the napkin calculation. I could easily imagine reliability improvements in conjunction with the average speed improvement of 4 minutes allowing Metro to remove 2 buses per hour, which would double the operational savings. My calculations also ignored the operational improvements on third ave of eliminating an unprotected left turn. The point is that without knowing how the change impacts operational costs on route 3/4 you can’t talk with any certainty about using a full $12 million on some other use. What if Yesler becomes just as congested as James St? Doubtful. James is backed up due to cars trying to get onto I-5. That is what’s throwing everything off. Other buses are being blocked from going North on 9th Avenue due to a #3 or #4 that starts turning right onto 9th from Jefferson and then sits there blocking the 9th and Jefferson intersection for long periods of time because no one can turn left onto James from 9th. The problem is that those buses turning right from Jefferson onto 9th and then left from 9th onto James are blocking the intersection of 9th and Jefferson for long periods of time – often 5 minutes or more – when James westbound gets backed up. And often there is one #3 followed by a #4 and the intersection gets blocked for at least 10 minutes preventing all northbound traffic on 9th from getting anywhere, including hospital shuttles and the # 60 bus. They need to be rerouted.